How Much Money Should You Save to Invest? Investing starts with saving. So how much should I be setting aside? One of the most frequent questions new investors ask is, "How much money should I be saving and putting into my investment portfolio?" Although the question is straightforward, the answer is not so easy because it depends upon a handful of factors that differ with each individual or family. Let’s take a look at the questions and then we can tackle each one specifically. Before we begin, though, it's important that you understand the difference between saving and investing. To learn more about this and how you should approach both, read Saving vs. Investing - Finding the Right Balance. How much passive income do you want every year from your investments? This figure should take into account not only the cost of the things you want (e.g., the price of a new house), but maintenance and upkeep as well. How much volatility are you willing to take? In other words, what is your tolerance for watching your account value go up and down wildly? The more quickly you want to get wealthy, the bigger the swings in value both up and down. You may, for instance, have to watch your account drop by 50 percent or go up by 100 percent when you used aggressive strategies that have the potential to get you to your goal sooner. At what age will you need to access the money? 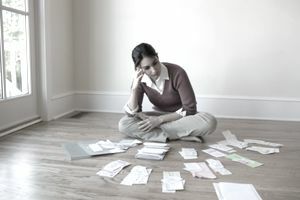 This is important because the huge advantages of tax-free and tax-deferred accounts, such as a Roth IRA and 401(k), won’t be available to you if you want to withdraw the money before you are 59 1/2 years old. Withdrawing early will lead to penalties and taxes unless you qualify for one of the Eight Ways to Avoid the 10 percent Early Withdrawal Penalty. To what degree are you willing to sacrifice your current standard of living for your wealth goals? Now, let's look at how these factors work together to answer the question: How much should I be saving? How Much Money Do You Want From Your Investments Each Year? An example might help. Let’s say you want to make $80,000 per year to live the way you want. You only want to work part-time and figure you can make $20,000 per year. You expect to collect $15,000 per year in Social Security. You would take $80,000 - $35,000 = $45,000. Then $45,000 divided by .04 = $1,125,000. That’s the amount that would be required for you to earn the other $65,000 from your investments and never run out of money. Now, you need to figure out how soon you want the money. Let’s say you are 35 and you want to retire at 65. That gives you 30 years. Using any one of the thousands of savings calculators online (check out this one from Bankrate, for instance: Savings Calculator), you can plug in your numbers and figure out what it would take in terms of monthly savings to reach your goal. Assuming you can earn 8 percent on your investments, it would require $754.85 put aside each month until you retired. (If you started at 25, instead, it would take only $322.26 per month due to the power of compounding. If you don’t want to leave anything to your family, friends, or charity (a charitable remainder trust can be a great choice for investors), the savings figures would be much lower because this model assumes you maintain the $1,125,000 fund in perpetuity. That is why you’ll see many financial planners estimate your lifespan. They’ll actually design a program so that your money runs out at, say, 85 or 90 years old. You can reach your goal much faster by saving more each month. Whether or not you can accomplish that will depend on how much you are willing to sacrifice. Even an extra $300 per month can mean arriving at your savings goal years, or perhaps even decades, earlier than you otherwise could. Is that worth driving a used car or not ordering anything but water at restaurants? That depends on your priorities and no one can answer that question for you. I addressed this in The $25,000 Bouquet of Roses. It's important to understand, however, that sacrifices in your present lifestyle will make saving much easier. Living within your means and avoiding debt is the most critical aspect of building a sizable investment portfolio. In my own life, this was a decision I made early. Unlike virtually all of my friends, I refused to buy a car until I was more than 23 years old because as a teenager, I realized they had huge ongoing costs in the form of gas, insurance, and more. When I finally did by my first vehicle shortly after graduating college, it was a beautiful Jaguar that I got at an incredibly attractive price. At the time, I had little to no debt, my taxes were paid, and I had built a substantial investment portfolio thanks to working my way through school. My saving and investing had paid off, despite having to put myself through college. My friends lacked patience, wanted instant gratification and bought their cars at 16 with auto loans that charged interest. The rule of thumb can be summarized as the more you are willing to give up today, the faster you can reach your savings and wealth goal. One warning: Do not take this to the extreme. As famed economist John Maynard Keynes pointed out, “In the long-run, we are all dead.” Money exists only to allow you to have the kind of lifestyle you want and open doors of opportunity for your family. As my father told me before he and my mother left me on the college campus all of those years ago, never trade an opportunity or experience for money because it will be a poor bargain. I certainly did not live like a pauper (far from it). Most of this was possible because my early discipline allowed me to avoid the massive interest charges most Americans pay on their homes, credit cards, cars, student loans, department store charge accounts, and more. You can use the same calculator from earlier in the article to increase the savings amount you are willing to put in each month. It will generate a new answer, showing you how soon you will reach your goal. In the case of our earlier example, the 25-year-old that was willing to kick in the extra $300 per month would be able to retire on schedule at 57 years old and 10 months, or nearly 7 years and 2 months earlier than planned. Is that worth it to you? Is giving up $300 a month worth an extra 7+ years of retirement? Again, only you can answer that question. For more information about how you can begin saving money, read The Complete Beginner's Guide to Saving Money. Should You Manage Your Own Investments or Hire a Professional? It's an age-old financial question.